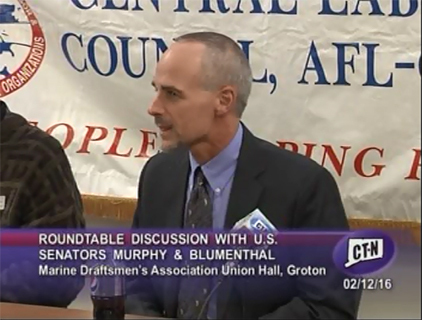 Senator Chris Murphy discusses the ECT Manufacturing Pipeline at the Congressional hearings for the Secretary of Labor. Click the image above to listen to him speak. 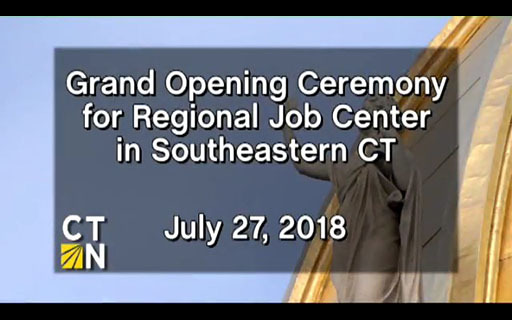 National report highlights the large staffing demands at Electric Boat and the EWIB-sponsored training programs to build the skill-sets in jobseekers to fill those hiring needs. 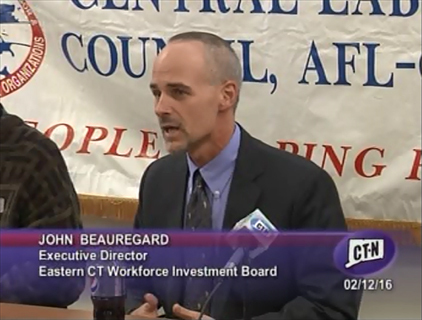 EWIB Executive Director, John Beauregard, discusses the Eastern CT Manufacturing Pipeline Initiative at a forum with U.S. Senators Blumenthal and Murphy. 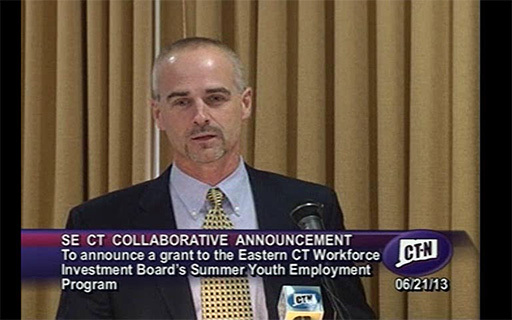 EWIB Executive Director, John Beauregard, discusses the significance of the Workforce Innovation Fund (WIF) grant, and the ways in which interested jobseekers can get involved. EWIB Executive Director John Beauregard & U.S. Rep. Joe Courtney discuss the impact of Electric Boat’s hiring and EWIB’s Eastern CT Manufacturing Pipeline Initiative during a recent Fox 61 News Broadcast. EWIB Executive Director, John Beauregard, discusses the important connection between work setting and classroom during high school years.